With the end of the school year approaching, parents have to start thinking about how to keep kids busy during the summer. When you’re at work during the day, you probably don’t want your little ones home alone with nothing to do. That’s why summer camp is always a good option. Children can have an educational, fun-filled summer in a supervised setting, so you won’t have to worry. Here are a few reasons why summer programs are beneficial for you and your child. Allowing your child to meet peers outside of the classroom is a great opportunity for them to form new relationships. Summer camp provides a different atmosphere from school. Social boundaries are less defined, and teamwork is actively encouraged. With fewer pressures and a diverse range of campers, kids can improve their social skills and interact with people they usually wouldn’t have the chance to. Camp is a place where kids can feel that they truly belong. They’re able to take on leadership roles, challenge themselves, and make decisions on their own away from their parents. This gives them a chance to experience responsibility and safely develop autonomy. While they’re free to make mistakes and learn from them, they won’t be in any real danger. Instead of wasting the season away and forgetting everything they learned at school, children can keep their brains and bodies strong at educational summer programs. Camps provide mentally stimulating activities, from robotics to reading. They also promote physical fitness, and healthy habits play a big part in your ability to learn. Your child will retain useful lessons that’ll aid them in the years to come. One of the biggest worries parents have is whether their kids are safe. At summer camp, they’re given a degree of freedom, but in a supervised setting. Counselors are always on hand in case something goes awry. Additionally, campers are too busy with all of the exciting available activities to get into any risky behaviors. You’ll be able to go about your days knowing your child is having a fun, safe, and productive summer. Summers with MindsAhead Academy, in New Jersey, are always memorable. 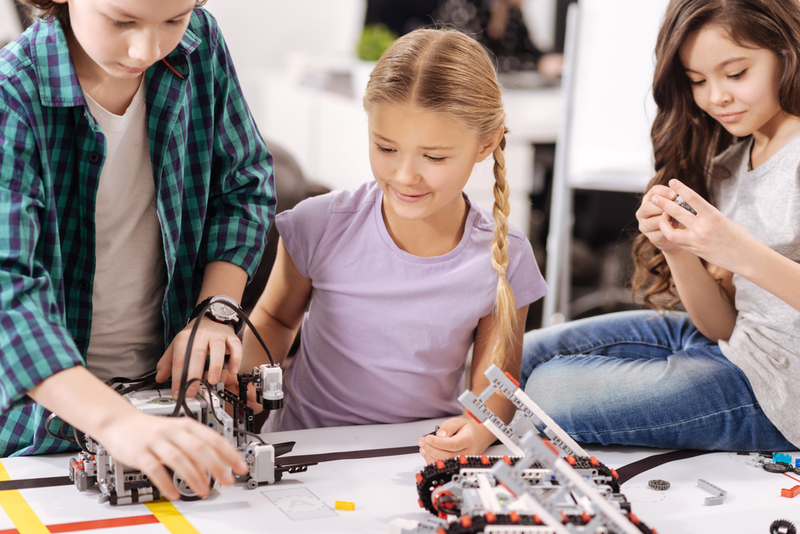 In the MindsBee program, counselors develop excellence in math, science, robotics, English, and creativity with an abundance of engagin, hands-on activities. Your child can get ahead of the curve while meeting new people and having an incredible summer. Learn more about their summer camp programs online, or call (732) 791-4848.